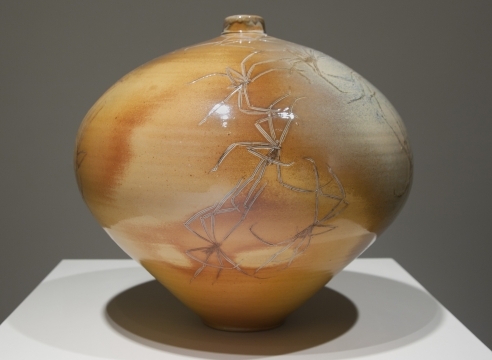 In this body of work, Frank Boyden, sculptor, ceramist and printmaker, focuses his attention on drawing. Using a refined and delicate line these sensitive renderings are created on hand made papers and adhered, chine collé to uniquely weathered antique paper. His subject matter is influenced by the natural world and by the beauty of the Northwest. An internationally known artist, Frank Boyden has exhibited his work in museums and galleries throughout the United States, Canada, and Europe. Boyden’s work is in collections including the Smithsonian Institution, Washington, D.C.; the Pushkin Museum, Moscow, Russia; the Portland Art Museum, Oregon; and the Tacoma Art Museum, among others. In 1995, Frank Boyden received the Oregon Governor’s Arts Award.